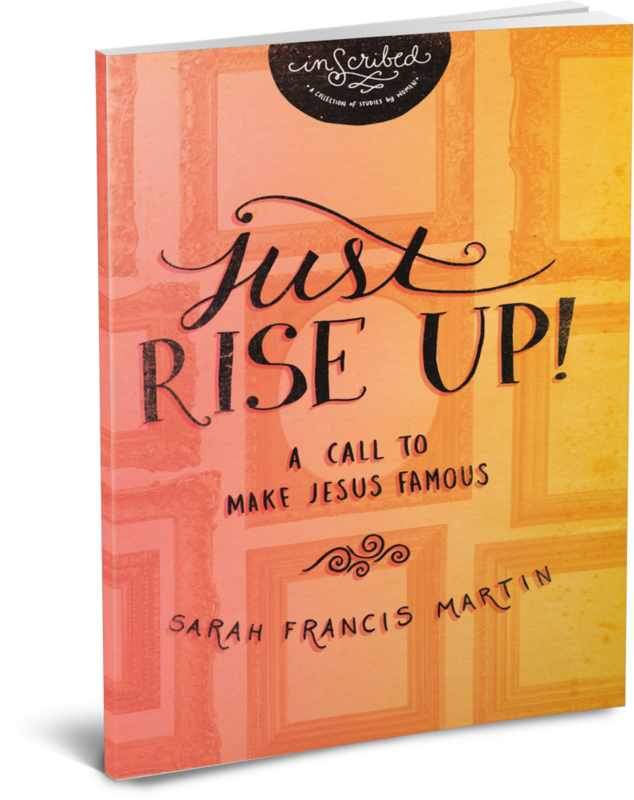 Sarah Francis Martin has a passion to do life and ministry with women. She is a graduate of Texas A&M University and Charles Colson's Centurions discipleship program, an intense study of biblical worldview. When she’s not typing away at her laptop and listening to Jesus Culture, she’s most often rough- housing with her young son, getting messy with craft paint, or going on a date night with her husband. • Rise up with integrity at our jobs and work as if our boss were Jesus? • Rise up and love, even when that love isn’t returned? • Rise up and speak the fame and glory of Jesus, even if people think we are weird?